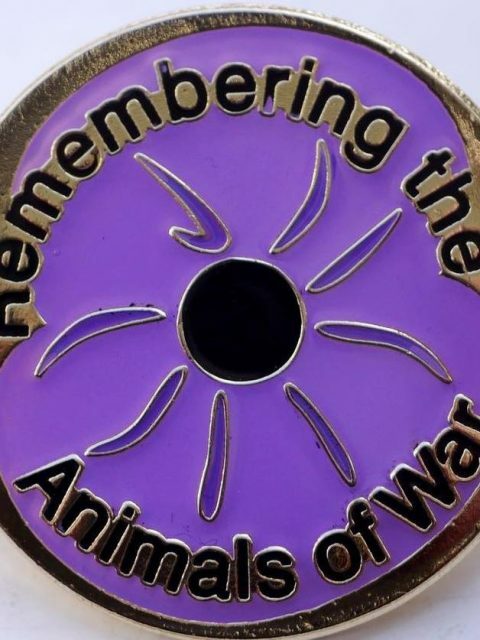 We will be wearing our purple poppies alongside our traditional red poppies this week in memory of all the animals that died as a result of human conflict, the extent of which is little known. In 2004 a London monument was dedicated to the gallantry of animals in war. The inscription reads: ‘To all the animals that served and died alongside British and Allied forces in wars and campaigns throughout time. They had no choice’. The loyalty and intelligence of dogs, along with their powerful sensory awareness has made them the first choice for wartime rescue and protection work. Training was terrifying and many who did not make the grade were euthanased. The dog’s innate qualities of intelligence and devotion were valued and used by the forces in conflicts throughout the century. Among their many duties, these faithful animals ran messages, laid telegraph wires, detected mines, dug out bomb victims and acted as guard or patrol dogs. Many battled on despite horrific wounds and in terrifying circumstances to the limit of their endurance, showing indomitable courage and supreme loyalty to their handlers. Most died of injuries or heatstroke, or were abandoned and left to the enemy when the war was over. In the summer of 1939, just before the outbreak of war a government pamphlet ‘Advice to Animal Owners’ was circulated, which concluded, “If you cannot place your pets in the care of neighbours into the country it really is kindest to have them destroyed”. It was the lack of food that posed the biggest threat to pets, there was no food ration for them. The pamphlet led to a massive cull, and 750,000 British pets were killed in just one week. Dogs that have served in the Army abroad are currently being euthanised as they ‘are difficult to re-home’. In both World Wars, dogs were used overseas to hunt for fallen soldiers and back home they were trained to dig out the dead and wounded from the rubble of bombed buildings. Animals don’t start wars and they don’t create biological and chemical weaponry. And yet, because humans do, they are are made to suffer in laboratories across the world. Animals in wars are not heroes; they are victims. They do not give their lives; their lives are taken. 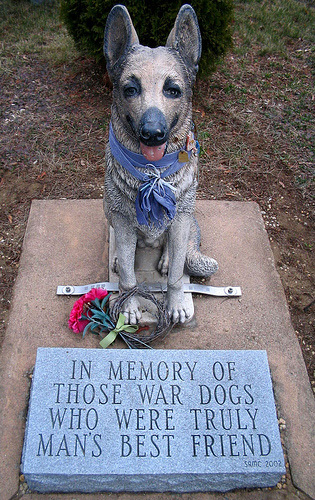 Please let us remember all these animals that have suffered, and are still suffering as a result of man’s conflict. In the summer of 1939, just before the outbreak of war a government pamphlet ‘Advice to Animal Owners’ was circulated, which concluded, “If you cannot place your pets in the care of neighbours into the country it really is kindest to have them destroyed”. It was the lack of food that posed the biggest threat to pets, there was no food ration for them. The pamphlet led to a massive cull, and 750,000 British pets were killed in just one week. Dogs that have served in the Army abroad are currently being euthanised as they ‘are difficult to re-home’. Animals in wars are not heroes; they are victims. They do not give their lives; their lives are taken. Please let us remember all these animals that have suffered, and are still suffering as a result of man’s conflict.